The rain of Hurricane Matthew may have dampened Elkin, but it did nothing to dampen the spirits of our new confirmation class. Five youth joined Cindy Furr and Mark Barden for a retreat on Oct. 7-8 at the church. Though the schedule had to be adjusted for the weather, the group had an incredible start to their confirmation journey. Chandler Ann Beals, Margaret Freeman, Carter Hampton, Eli Powell, and Hugh Turner engaged in games, videos and discussion on topics such as creation, the Holy Trinity, worship, community, and holy living. Learning about Christianity can be just as fun as it is serious as the group began to learn about their relationship with God who created us all in God’s image. Some of the memorable moments were a skit prepared and presented by the confirmands on the Prodigal Son, connecting with one another through group-building activities, watching “Sister Act” at the parsonage, and a unique prayer devotional in the Chapel in complete darkness, lively discussion, and getting to spend the night in the church facility. This year’s confirmation journey features three required retreats. In the months between the retreats, the confirmands will meet to process their thoughts and experiences of learning, worship and mission. Mentors will be assigned to help each confirmand grow in this journey. In January, the class will travel to Lake Junaluska for a retreat focusing on church history, the story of John Wesley and Methodism, the structure of the church and how we can use this knowledge in building the church of the future. In March, the class will travel again to Lake Junaluska for Confirm ’17, a weekend retreat sponsored by the Foundation for Christian Formation. Last year’s class found this retreat to be especially significant as they made their confirmation stoles and participated in a service of baptismal reaffirmation. Confirmation is a significant step in the faith formation of young Christian disciples. Please keep our confirmands, their mentors and leaders in your prayers as they grow in Spirit and in truth. 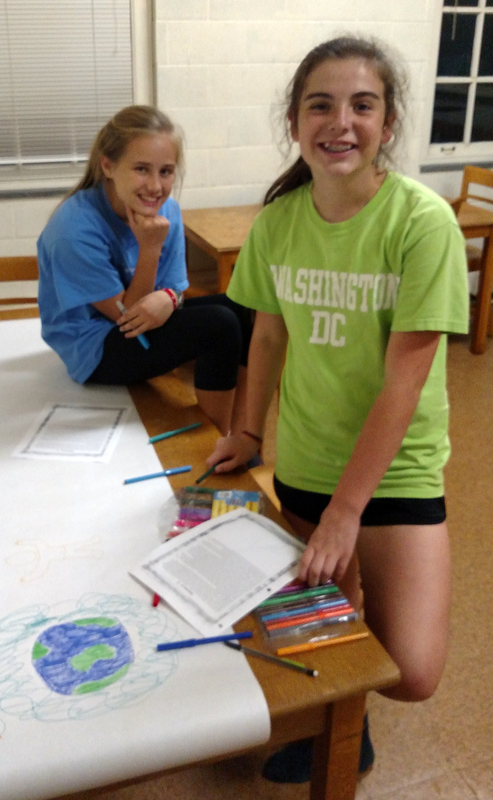 Photo 1: Chandler Ann Beals and Margaret Freeman put their artistic talents to work on a mural. 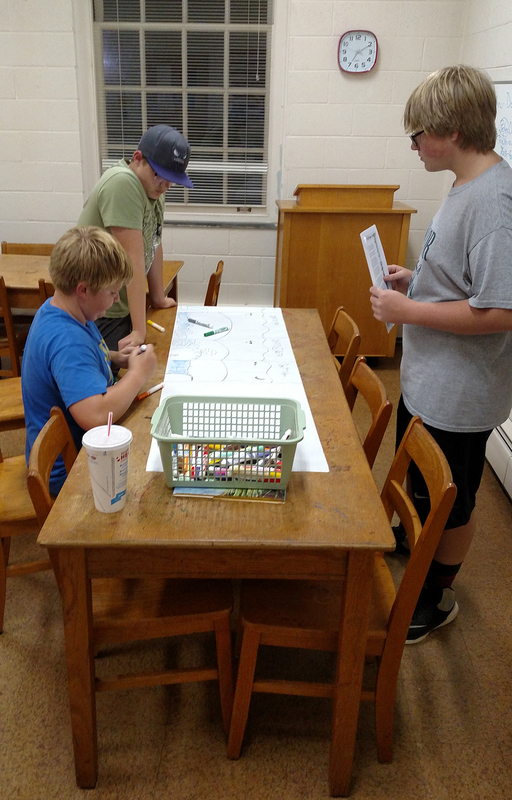 Photo 2: Carter Hampton, Eli Powell and Hugh Turner work on a creation mural at the recent confirmation retreat.